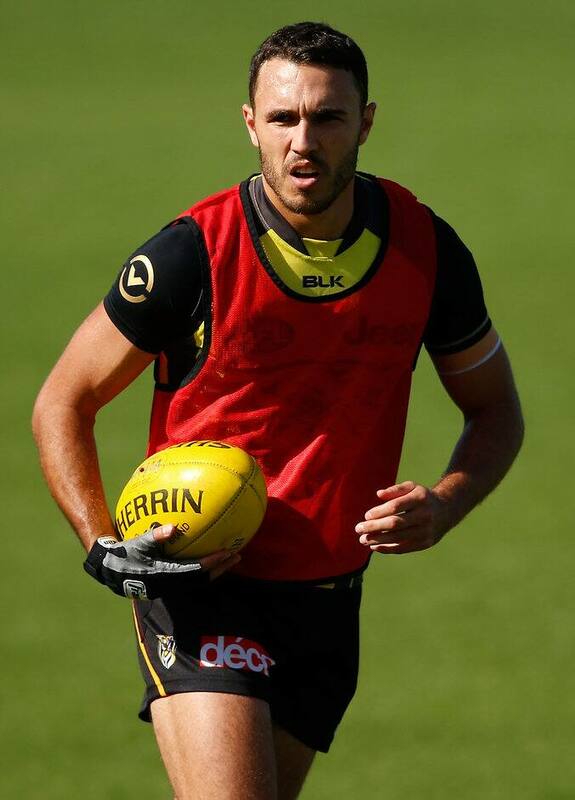 STAR Richmond forward Shane Edwards has recovered from hand surgery and will line up for the Tigers against Adelaide on Saturday. Edwards broke a bone in his hand in the round-one win over Carlton and missed last week's one-point loss to Collingwood. It is some relief for the Tigers who are dealing multiple injury concerns. Brett Deledio (quad) is still unavailable and big man Ivan Maric (back) is still under a cloud. With versatile defender Dylan Grimes also sidelined for two weeks with a hamstring injury, the Tigers could look to small defender Steven Morris or key-position player Troy Chaplin this week. Backman Jake Batchelor is also waiting in the wings as the Tigers plot a way to shut down Eddie Betts, who booted five goals against Port Adelaide in round two, and the Crows' dangerous tall timber (Josh Jenkins, Taylor Walker and Tom Lynch). Hardwick confirmed important half-forward Edwards would return after missing one match, but was less convincing on ruckman Maric. "We'll see how he goes with training," Hardwick said of Maric, who has battled a back injury. "He hasn't played a lot of footy over the first five or six weeks with NAB Challenge, so we'll see how we go. The coach said Deledio had not progressed with his recovery from a quadricep injury this week and was still only able to kick with a children's size football.